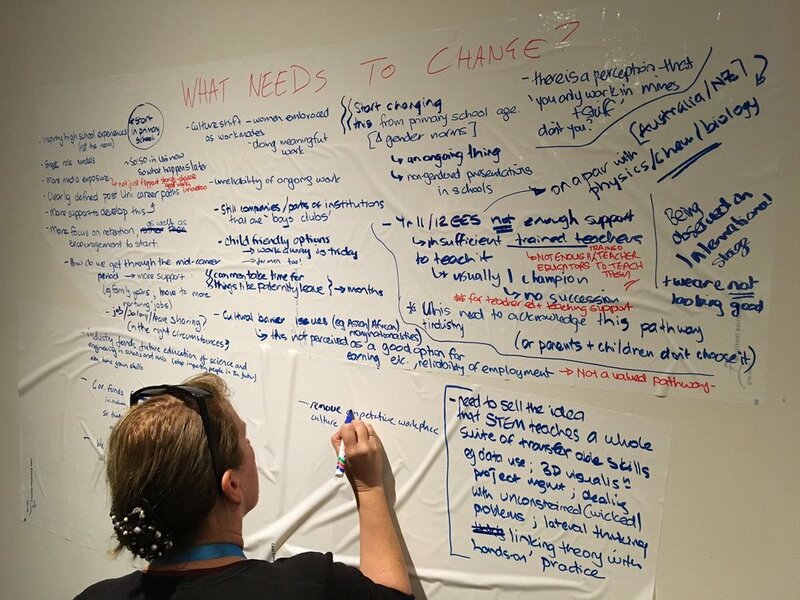 It was a fantastic, action-packed five days for WOMEESA at #AGCC2018Adelaide with diversity in geoscience a key topic of discussion among the conference attendees. 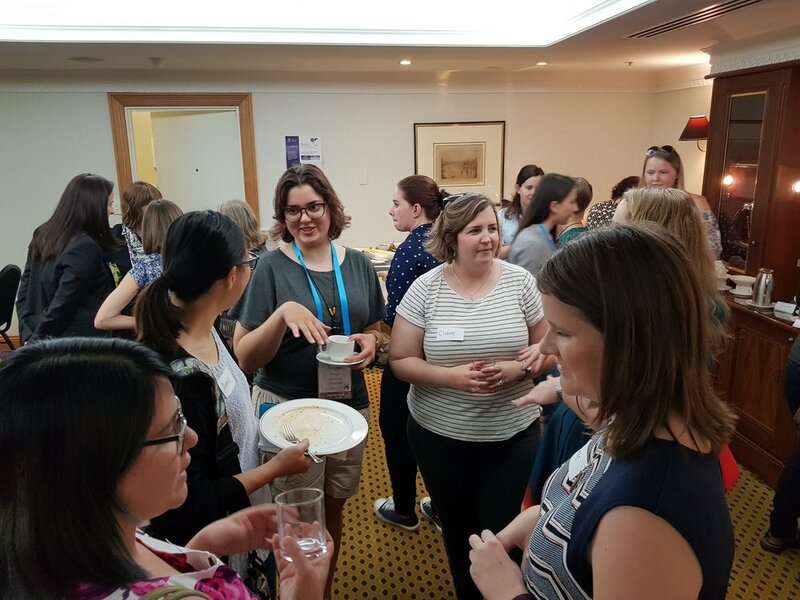 WOMEESA kicked off with a pre-conference Mentoring Workshop on Sunday and continued networking at the welcome event that evening. This was fantastic as then it wasn’t hard to find a friendly face in the crowd to say hi to for the rest of the week. See below for a summary of the workshop and its outcomes. 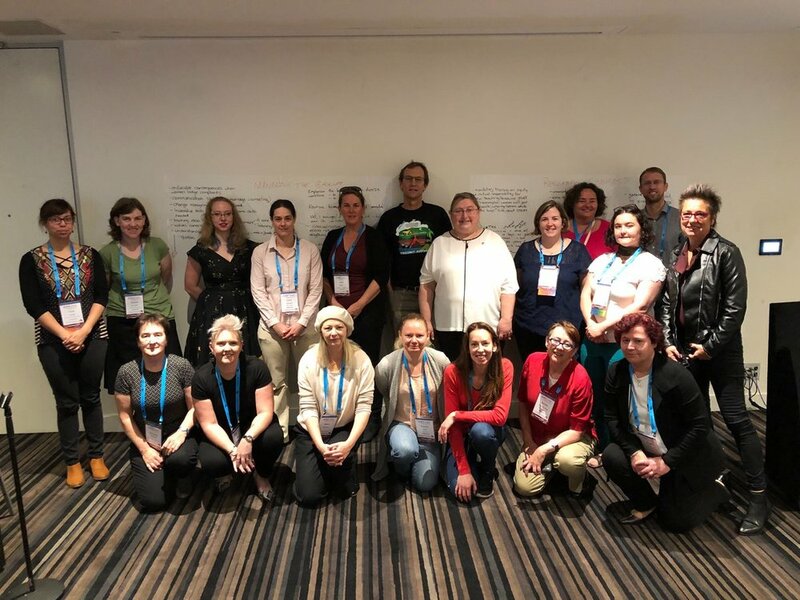 WOMEESA participated in the Women in Earth Science Business Meeting on Monday morning led by Marina Costelloe (Geoscience Australia, President of ASEG) and WOMEESA is working with ASEG to make a submission to the Australian Government’s Women in STEM Decadal Plan. It was such a privilege to be an invited panellist at the Diversity in Geosciences Lunch to discuss a wide array of diversity issues. 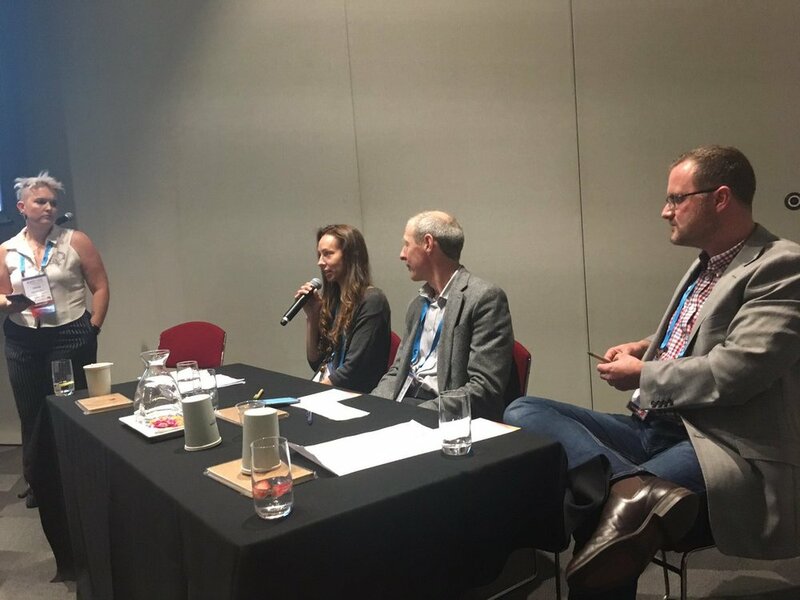 A massive thanks to host Verity Normington and the rest of the AGCC Diversity Team for making diversity such a hot topic at AGCC! Prior to the lunch the panellists thoughts on diversity were circulated and you can read my thoughts on this topic here. On Wednesday afternoon I gave a talk on the WOMEESA network in the Diversity in Geosciences session. This highlighted some of the outcomes of the WOMEESA member survey and our responses to members needs and interests. A pdf copy of the talk is available here. We held two further informal networking gatherings on Wednesday evening at a pub in North Adelaide and Thursday at the conference morning tea. Teresa and I met with the CEO of Geoscience Australia, James Johnson, who was keen to hear more about our initiatives and strategies to increase diversity and gender equity in geoscience. James has invited me to give a talk on WOMEESA at Geoscience Australia in Canberra. Can’t wait! We had a huge social media presence on twitter throughout the conference, so a huge thanks to everyone that tweeted during AGCC. Check out #WOMEESA and #AGCC2018Adelaide on twitter to see more. I sincerely thank Anna Petts and others who were instrumental in getting onsite childcare at the conference and attracted local media attention! Just brilliant! Hopefully now other Australasian conferences will follow the lead. We will be watching! Sarah Kachovich’s incredible hand-drawn onsies, made to raise awareness of the need for onsite childcare at conferences, were a sell out! Well done Sarah! WOMEESA is raising awareness for the need of onsite childcare at conferences with hand drawn ABC onesies (newborn and 1-year-old sizes). Our DIY business cards were well received and a great way to promote the network to the non-WOMEESA people we met. We gained a number of new members throughout the conference and now have 309 members, welcome to you all! I’d also like to say a huge congratulations to WOMEESA Vice President, Teresa Ubide, and WOMEESA Media Manager, Nikola Van de Wetering, for winning first place (ECR Division) and second place (Student Division), respectively, in the three-minute Rapid Fire Presentation session at AGCC!! I also took a slight detour while at the conference to Mt Schank, in South Australia, to film with Chris Brown (The Bondi Vet) on one of the youngest volcanic centres in the ‘active’ Newer Volcanics Province for Channel 10’s The Living Room program. A great opportunity to increase female representation in the media and help change the sterotypical image of a scientist…. and it was a lot of fun too! After a brief introduction from me on some present gender equity issues, how WOMEESA might be able to help and possible discussion topics for the day, Keynote Marina Costelloe (Geoscience Australia and President of ASEG), gave a motivating and inspiring talk on mentoring and how it helps you to step outside your comfort zone. Marina also emphasised the benefits of celebrating achievements, change management training, understanding your circle of influence and circle of concern and talking ‘blue’ (not ‘red’), i.e., when faced with an issue, don’t try to place blame but all come together to help resolve the issue. This was followed by a discussion on challenges and solutions with panellists Leanne Armand (ANU), Sheree Armistead (PhD student, University of Adelaide), Marina Costelloe (Geoscience Australia and President of ASEG), Courtney Dhnaram (Geological Survey of Queensland) and Penny King (ANU). The academics on the panel said that they didn’t really realise there were gender issues as a PhD student and it wasn’t until further into their careers that these became apparent. Penny encouraged people to read more about how to negotiate workplaces and recommended the book “What works for women at work” by Williams, Dempsey and Slaughter. The 2nd panel discussion focused on mentoring with panellists Valeria Bianchi (University of Queensland), Michelle Henderson (Interaction Consultant Group), Kate Robertson (University of Adelaide) and Janelle Simpson (Geological Survey Queensland). Michelle Henderson gave a presentation on mentoring, kindly sharing her experience and knowledge gained from a successful public service career spanning 23 years with federal and state governments and from her current consulting role at Interaction Consultant Group. 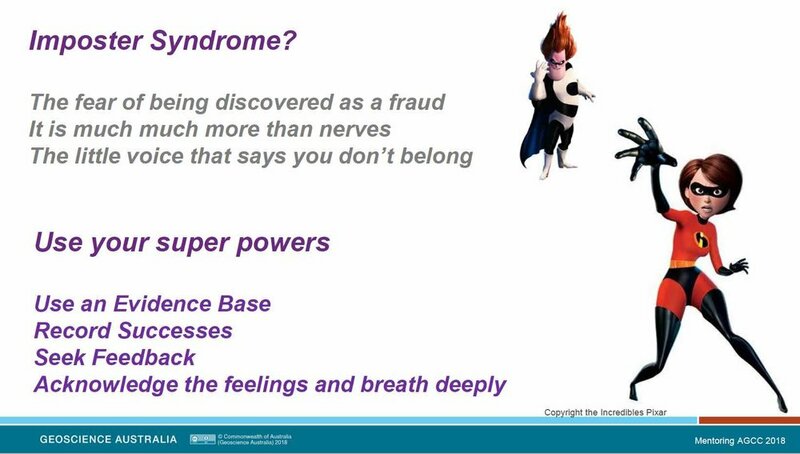 The slides from her presentation will be shared with WOMEESA members. 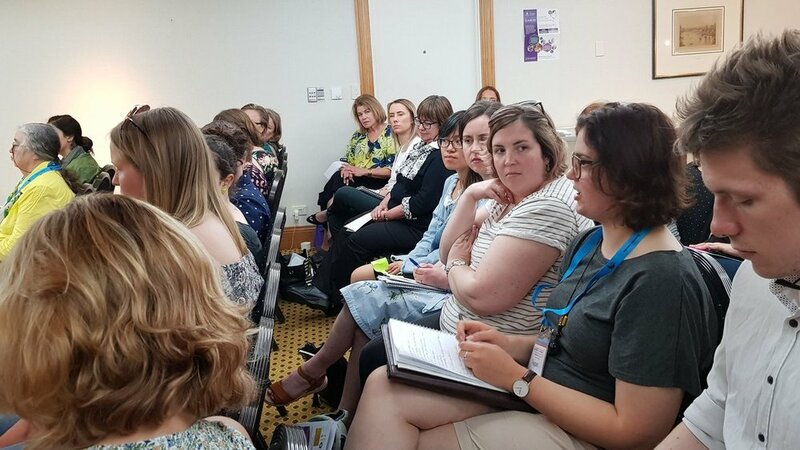 To build a searchable database of women working in Earth and Environmental Sciences in Australasia to assist potential employers, conference and session organisers, seminar program chairs, the media etc. to find suitable women looking for particular opportunities. We will be consulting members shortly for input on what to include in the database. To set up a mentoring network program based on the experience someone has that they are able to share, rather than career stage. To develop recommendations and best practices to advocate and assist organisations and workplaces to improve gender equity in geosciences. To facilitate cross-networking throughout the region via monthly online discussion forums. Photo credits for images used within this blog: WOMEESA, April Foote, Marina Costelloe, Naomi Jellicoe, Sarah Kachovich, Heather Handley, Bex Dunn, Claire Krause, Amber Jarrett.